The battery is sufficiently powerful for long rides. 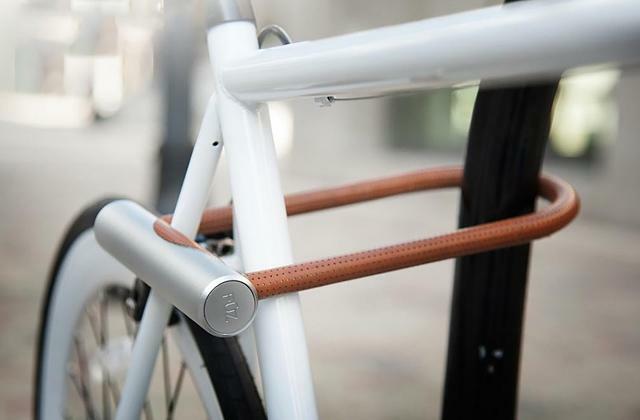 The foldable frame and pedals allow you to store this bike in a small closet. The bike has no pedal-assist system. It is one of the most stylish, durable and cost-saving models that will provide you with all possible benefits of a common bike and advantages of the cutting-edge innovations. You can pedal it actively or relax and enjoy the motorbike-style ride. An original Tektro brake system ensures your ultimate safety. The rear fender protects you from splashes of dirt. It might be difficult to assemble it from the first try. 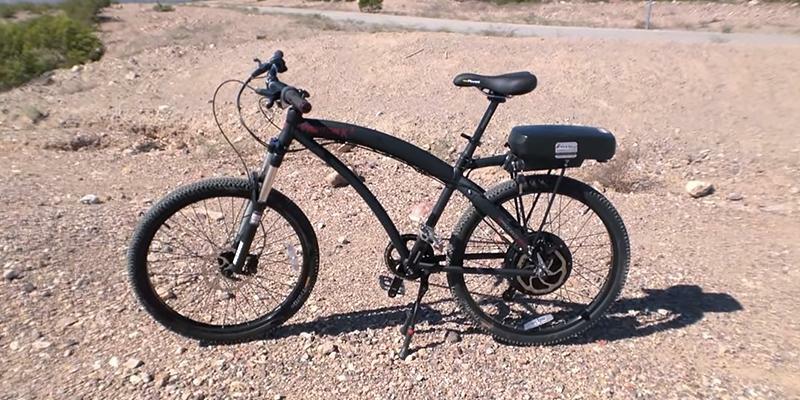 The Yukon Trail Xplorer bike is very popular among the active bikers. 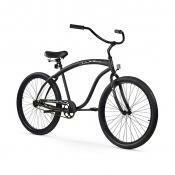 Its tough frame and large wheels with reliable brakes are combined with a relatively powerful motor. Besides, the manufacturer proposes alternative versions for men and women. 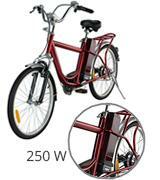 The bike is relatively light, so you can easily carry it upstairs. 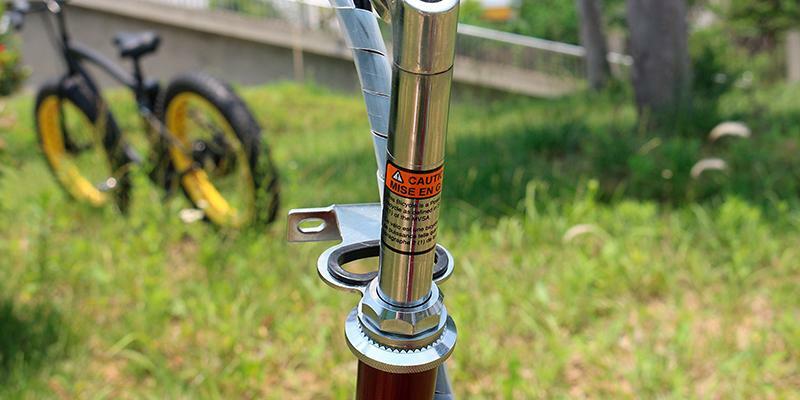 A durable hydraulic fork assures the maximum shock absorption. The distance per charge is not very large. 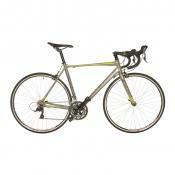 This bike features a great combination of price and quality. It has both a powerful motor and a strong battery allowing you to enjoy long leisure rides or active sports. You have the ultimate freedom of choice. The ergonomic design and substantial speed will satisfy any user. 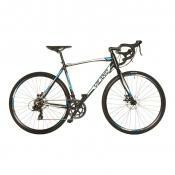 The frame is durable enough for cross-country rides. There is no place for a case or a shopping bag on the frame. E-GO bike looks like an ordinary bike. You will hardly notice an engine or a battery at a first glance, though, the hidden strength is the major advantage of this device. This mountain bike can easily climb any peak. The battery is very powerful. Plus! 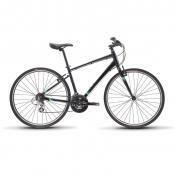 The bike has a sturdy shockproof construction that can resist any rough road conditions. This bike has only one speed. Probably, it is the best choice for an urban rider. You have only one speed available but the motor is always ready to help you. Forget the traffic jams and always arrive on time. Feel fit without excessive sweating! 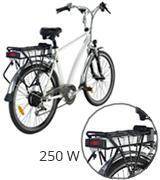 Prodeco modern electric bike grows in popularity both in large cities and small towns. Stylish and compact as it is, you will be able to transport it to relatively large distance easily and with minimum effort. Riding Prodeco electric bike requires neither special skills nor fuel and so, it will suit literally all and one who'd like to ride instead of driving. The Phantom X2 bike features a reliable high-torque 500W motor mounted in the rear wheel allowing you to ride using the electric drive only. So, you can enjoy a ride, putting no physical effort. At all! The power and speed are controlled by the throttle, just twist and hold it to ride this bike like any motorbike. Yet if you want to do some physical exercise, you can start to pedal. 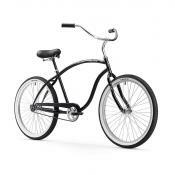 The bicycle features an 8-speed mechanic shifter that will satisfy every active rider. The battery capacity suffices for the distance of up to 35 miles from a single charge at an average speed of 20 miles per hour. The battery is fully charged within 5 – 6 hours and lasts for over 2,000 recharging cycles. All these features are really amazing! Like many other bikes, this one has an aircraft-grade alloy frame. It is made of an aluminum alloy that is not only reliable but also lightweight. Another key advantage of the frame is its foldable construction that is convenient for the transportation in a car trunk. Hence, this bike can accompany you on any travel. The shock-minimizing front suspension fork and cross-country adaptability provide you with extra confidence when you ride the urban streets or country dirt and gravel. 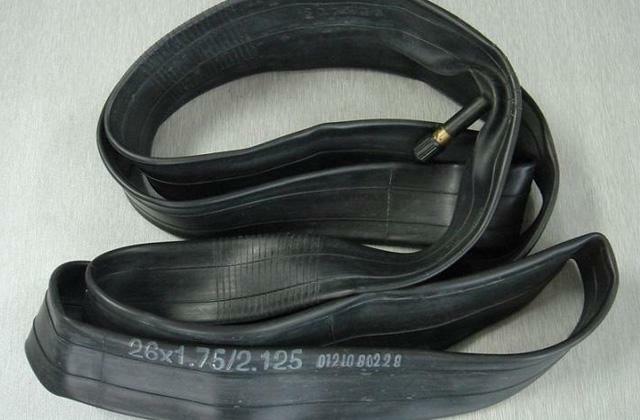 The bike is equipped with 26” Continental Traffic tires and 2.1” triple-box wide rims which are common for the majority of mountain, city, and cross-country bicycles. The road safety is ensured by strong disk brakes installed on the front and rear wheels. And for the improved durability, all ropes are made of sturdy stainless steel. 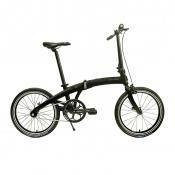 What is notable, the Prodeco electric bike complies with the highest quality standards. 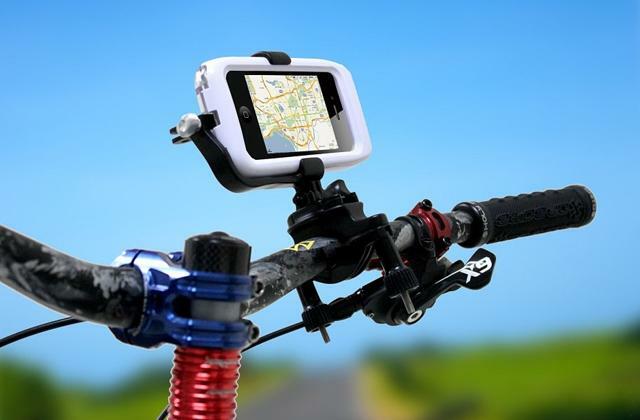 So, this device will be a perfect choice both for rides on the urban pavement and for the rough terrain. Enjoy the mountain rides and jump over the road curbs! 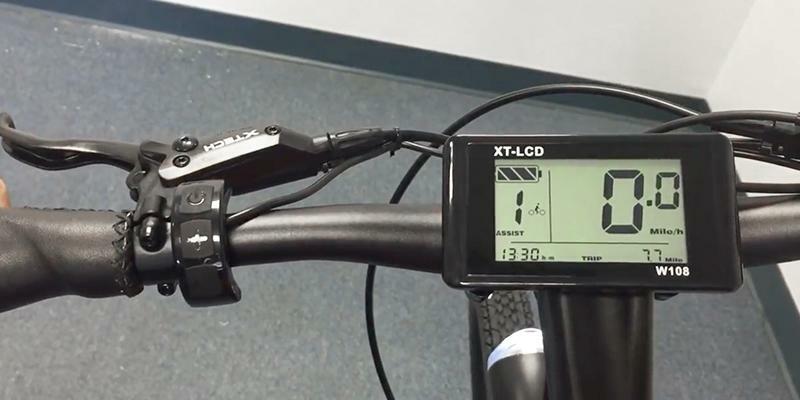 A bike computer will track your speed, distance, and even time and ambient temperature! 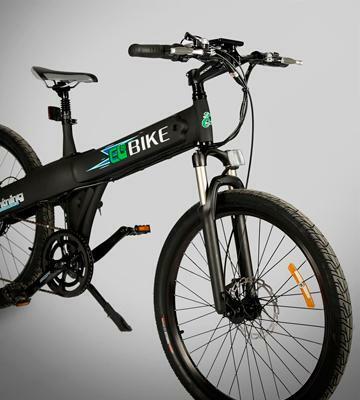 The process of an electric bike selection is almost the same as for any other bicycle, though, it is necessary to take into account electronic components, too. The Yukon Trails Xplorer bike has the heart of 250W brushless motor that is installed in the rear wheel to be less visible. Although it is not the most powerful motor, it can help you a lot. The motor is powered by the removable LiFePo4 36V/10Ah battery that is of a substantially high capacity, it is sufficient to power a ride of up to 31 miles per one charge. A pretty good result, yeah? The recommended charging time makes just 4 – 6 hours. Keep in mind that it is not advisable to use the battery running for longer than 24 hours. As for the modes, you can pedal the bicycle with your muscles or twist a throttle. In the motorbike mode, you can drive at the speed of up to 15 miles per hour. Or you may use the Pedal Assist System (PAS) that will help you save battery power and do some minimum exercise. This bike features two alternative constructions: for men and for women. Let’s take a look at the male model first. It resembles a common mountain bike. The frame is made of the lightweight aluminum alloy resistant to wear and tear. The battery is firmly fixed on the rear rack. The front suspension fork allows you to enjoy a soft ride on any rough road, regardless of bumps or dents on your way. 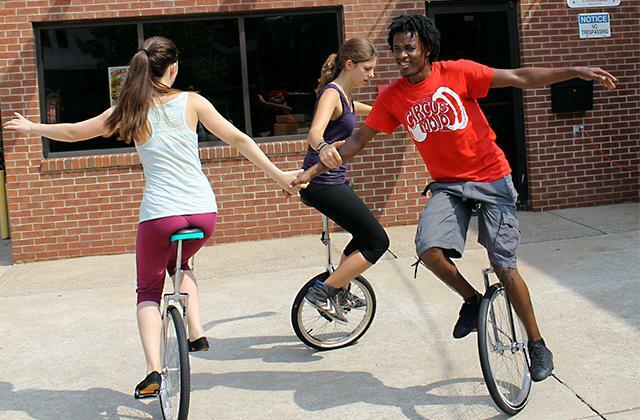 The bike has common 26” wheels convenient for mid-height riders or people higher than average. 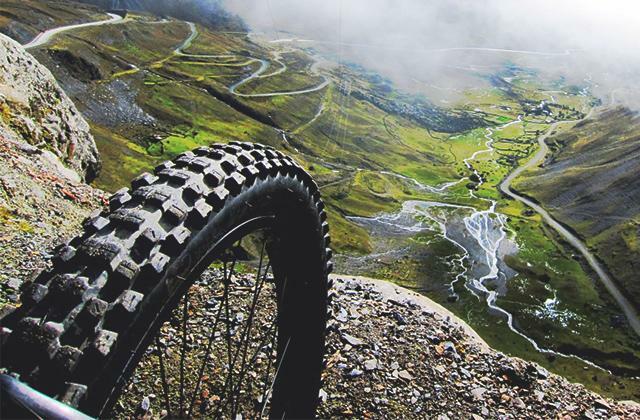 The Kenda tires with 1.75” width feature the alloy double wall rims for a smooth ride. The V-Brakes made by Tektro ensure the top safety on the road. These V-shape brakes are known for their durability and simple maintenance and, thus, are frequently used by both professionals and amateur bikers. Your trip to the office can be much faster and healthier than if you'd traveled by bus or car, whilst you can enjoy breathing fresh air and do some exercise without sweating like hell. Shift from pedaling to motor-driven mode and vice versa, for a different level of intensity and always stay fit. This bike is great in so many ways you'll never regret your buy. Recommended for all people with the approximate 160-pound weight. 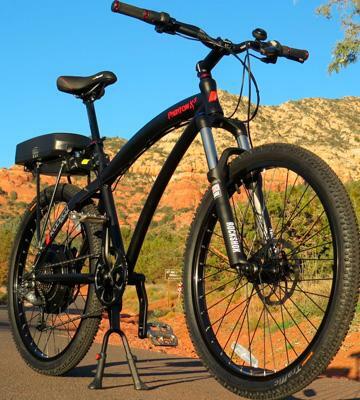 The X-Treme mountain bike is a convenient electric bicycle perfectly fitting people of the above-average height. The manufacturer proposes models for women and men, but now we would like to tell you more about X-Treme Scooters Men's bike. 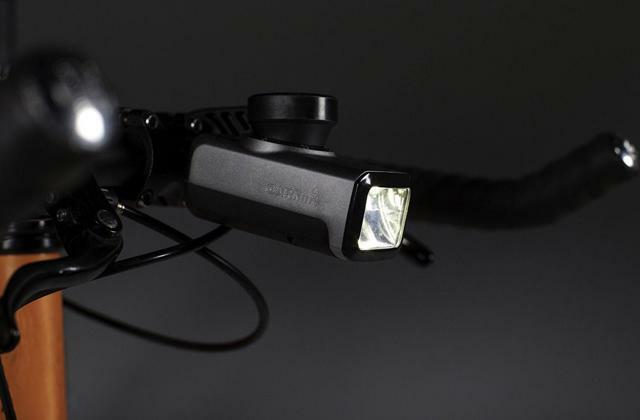 It has a typical mountain bike look, yet features a compact rechargeable battery mounted under the rider’s seat. 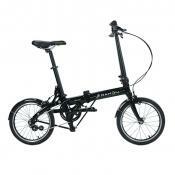 It is ideal for daily city rides or weekend exploring trips. 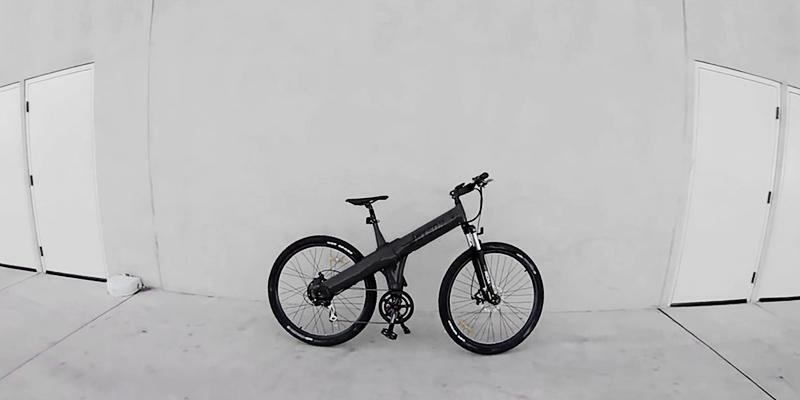 This electric bike is somewhere in the middle among competitors by its technical specifications, having the 300W electric engine in the rear wheel powered by the 24V 8Ah battery. As a result, the distance per charge makes 15 - 20 miles with the maximum speed of 20 miles per hour. The rider can control the bike rotating the pedals, use the throttle or enjoy the pedal assist option. 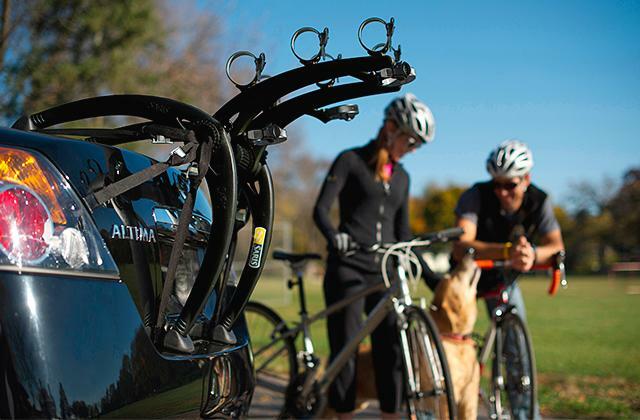 The pedal assist system is convenient to everyone used to riding an ordinary bicycle. You use pedals and benefit from the assistance of the motor, hence, riding faster and longer while saving your energy. Note that the battery will discharge faster if you use only the throttle. Push pedals, enjoy the landscape around you and breath the fresh air without a gas smell! 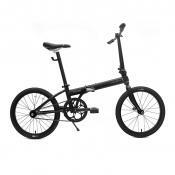 You can purchase a ready-made electric bike or assemble the one yourself on buying a motor-wheel. The statistic evidences that the ready-made bikes are purchased more rarely. The ratio is 48% to 52% self-made bikes. As a rule, the modification of a bike by installing the motor-wheel is cheaper, but it is not always so. It is not an easy job if you lack certain skills and competence. The replacement of a car with the electric bike is extremely cost saving, and this trend can be seen in big cities in particular. E-bikes save time and money spent at gas stations, get you out of traffic jams and make you more mobile. Many people also mention the improvement of their vitality, comfort of riding and the environment support. One of the fastest electric bikes was made by the engineer from California, Luke Workman, who named his device the DeathBike. He wanted to beat gas-powered bikes in the races. With the speed of 137 km/h reached by his bike, he succeeded! Justin Lemire-Elmore made a revolution by riding a self-made bicycle for almost 4,350 miles from Vancouver to Halifax. His vehicle featured the front motor-wheel and self-made control system. During this ride, the bike made an average speed of 30 miles per hour. A bike pump is a very useful thing to carry with you. The electric bikes made a breakthrough in the modern industry of bicycles. And it is not just because of electric motors. It became possible due to a wide choice of models allowing customers to find an appropriate design and desired features at an affordable price. 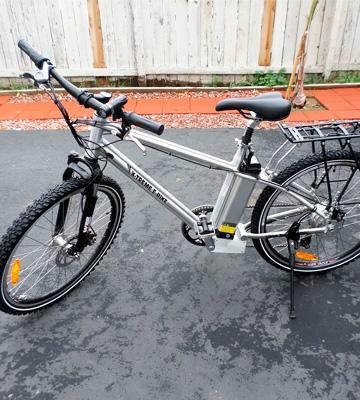 At the first glance, this particular bike does not look like an electric bicycle. You won't even notice a motor! 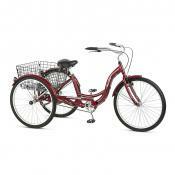 Its sturdy frame has a durable and solid look. 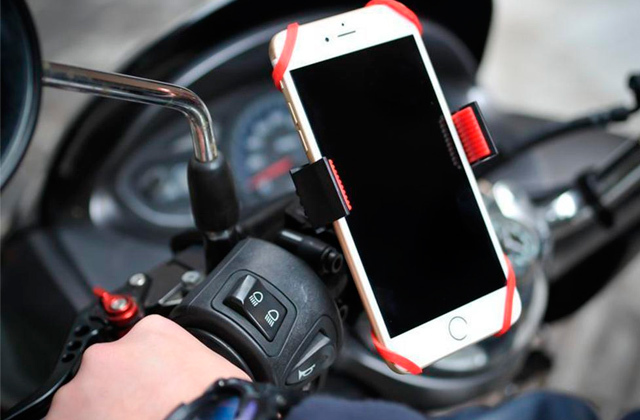 It is made of aluminum alloy, hence it is low-weight and shock resistant. A good thing is that the battery is installed inside the frame and there's no chance a rider may feel discomfort when riding. 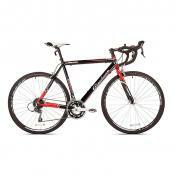 The bike itself looks pretty special and features standard 26" wheels convenient for most experienced and not riders. If you do care about the quality of your life and stand for the environment, this electric bike will become your best buy. 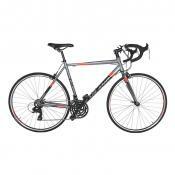 It's got pretty much everything a rider would expect from a decent bicycle and at a good price. 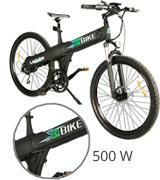 The electric part of the bike consists of a 500W motor mounted in the rear wheel and 48V 10Ah Li-Ion Samsung battery. 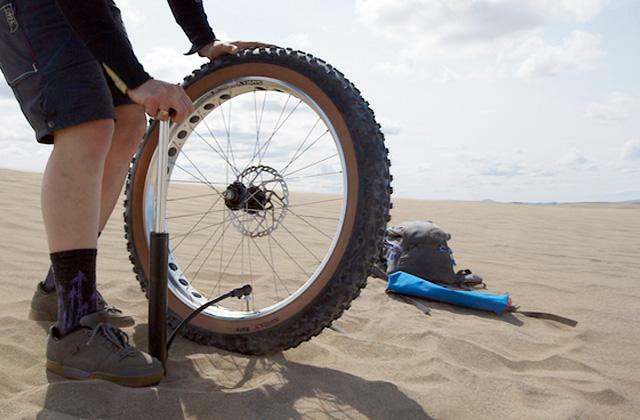 The bike is sufficiently powerful for riding on flat pavement, cross-country or sand dunes; the comfort of a ride is provided by the front suspension fork that absorbs shocks of uneven surfaces. The engine can speed up the bike to 21 miles per hour. The maximum distance from a single charge may vary within the range of 20 and 43 miles depending on a driving style, the weight of a rider and road conditions. It is the superior choice for bicycle enthusiasts looking for a companion for leisure country rides. 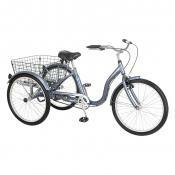 The bike features 7-speed Shimano gear for active pedaling, sports training and overall physical exercising. Whenever you feel like you'd like to give your legs some rest, you can activate the pedal assist system or use a throttle control. 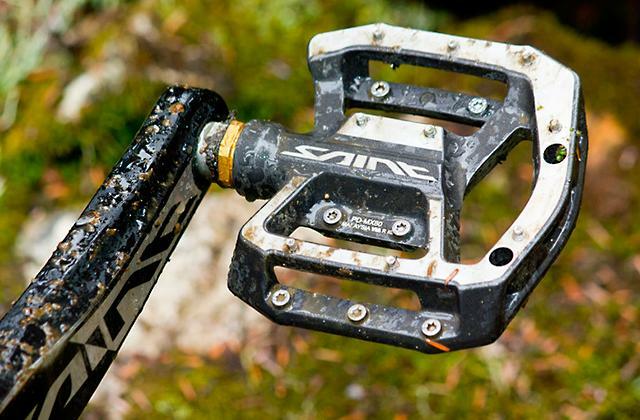 The pedal assistance is very convenient if you are riding in mountains! A bicycle lock will secure your bike whenever you need to leave it for some time unattended. The majority of people choose to ride an electric bike for a number of reasons. Firstly, riding such bike can strengthen their endurance and immune system, keeping them fit, and secondly, it's much cheaper to ride a bike than to pay bus fairs in the long run. 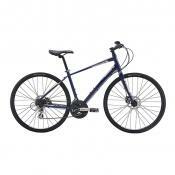 On this matter, the Navigator SM24 bike of Yukon can be a good choice and a great fit for urban citizens who mostly need to ride over a flat terrain. The maximum speed it can reach is 15 miles per hour, which might seem quite low, but if you think about, you wouldn't need to ride faster in the streets with high traffic and so, these numbers will definitely suffice. Instead of tackling traffic jams, now you can simply choose a different path and get to the office quicker. The bike features a one-speed gear and might not suit riding uphill, without you putting an effort, but rather than that, it's a great option. In case you don't need to ride more than 30 miles a day, this bicycle is for you. 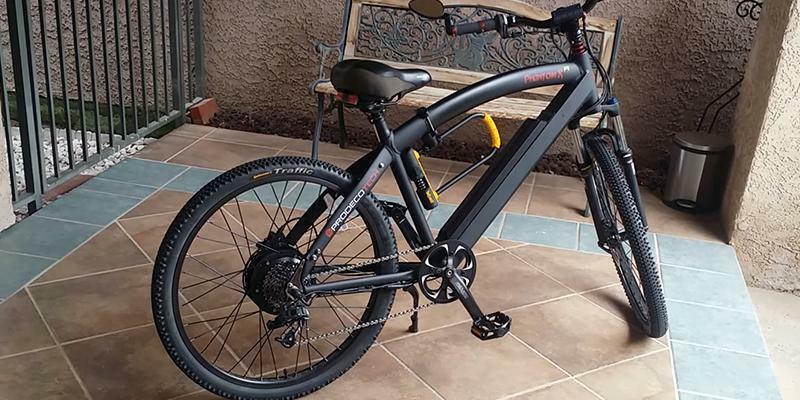 A single charge will suffice for about 28 miles and when the battery drains flat, the bike can be pedaled in a conventional way. Comparing the costs for a gas fuel, the advantages of riding electric bicycles are much more than evident. No gas stations, no fuel fills, no harmful emissions in the air. All you need is to leave a bike charge for 6-8 hours and it'd be ready to go. On top of eco-friendly benefits, riding an electric bike can also save you on insurance costs, maintenance fees, parking tickets, etc. The payback of the bike will be seen already in a short whil! 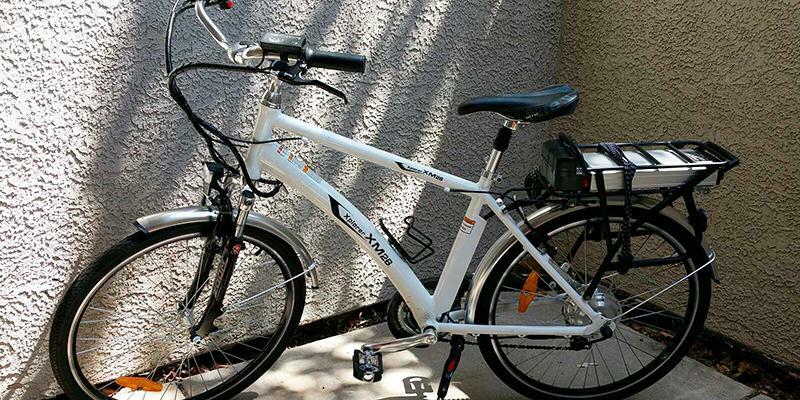 This electric bicycle will surely come in handy both for the rides to the work and for the leisure time in city parks. You can swiftly get to any place you need and forget about those terrible traffic jams. Your ears will not suffer from the noise of engines anymore. You will take part in the reduction of air pollution. The only disadvantage of this bike is its weight making 99 pounds. Thus, ascending the hills or making fast U-turns can be a problem. However, the brake assist system will definitely spare you much trouble in riding. Note that this bike is sold in two modifications: for men and for women. 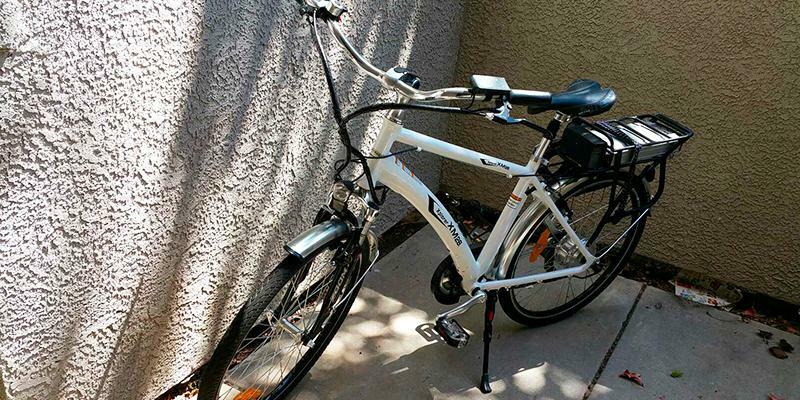 All in all, it is a marvelous electric bike at an affordable price. The number of people wishing to have a more eco-friendly vehicle is continuously growing. Manufacturers offer their customers more and more electric cars, motorcycles, motorbikes and even bicycles. Somebody can ask: why should I buy an electric bicycle instead of a motorbike? Firstly, you do not need a driver’s license to ride a bicycle. Secondly, a bicycle weighs much less than any motorbike and is more mobile. 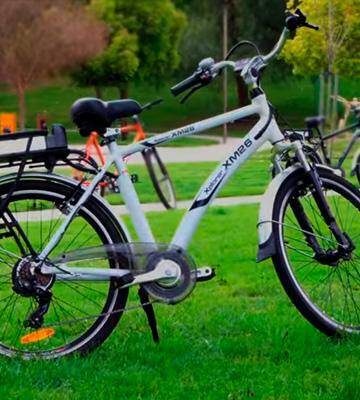 The bicycles are more cost-saving and do not require a regular maintenance and additional expenses. 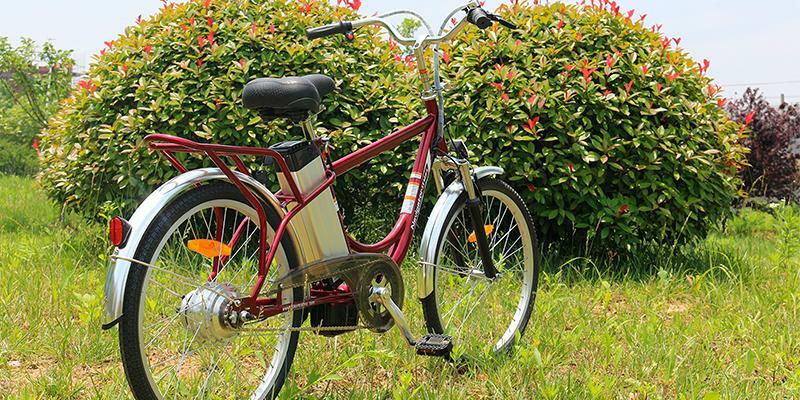 The electric bicycle is a universal vehicle combining all features of common bicycles without engines, though it also has a motor and a battery. It can ride at a relatively high speed and cover a substantial distance from one charge. 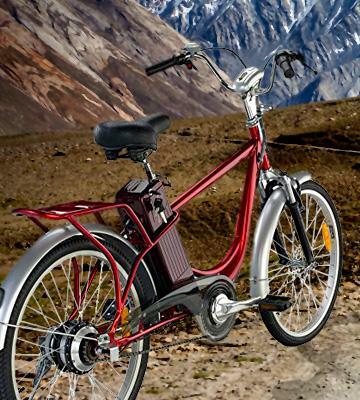 We have selected five best electric bikes that can satisfy demands of the most pickiest users. If you want to ride your bike safely, we recommend purchasing one of the bike helmets presented in our other review. Riding an electric bike is a great fun for adults, however, if you've got kids, you may sooner or later have them run to you, begging for a bike for themselves. Think of this in advance and purchase a great electric kick scooter to give to your child. Where Do You Plan to Ride? 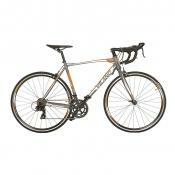 Before buying a bicycle, you should decide where you're planning to ride it and how far you are usually riding. As a rule, if you ride the flat terrain of urban streets, you do not need a very powerful motor. The 250W – 350W engine will be sufficient. However, if you are an active biker preferring hillsides and rough country tracks, you are supposed to pedal with more efforts and hence, having a more powerful motor is preferable. If that's the case, look for an electric bike with a 500W motor or even more. The more powerful the motor is, the higher the maximum speed of the bike will be . Which Distance are You Going to Ride? The electric bike is not a common bicycle and many potential users frequently ask: "how far can it go without pedaling by a rider?". The maximum distance per charge directly depends on the type and capacity of the battery installed by the manufacturer. On average, producers advertise the distances of 15 - 20 miles. Some powerful batteries allow you to ride for 30 to 35 miles from a single charge. Though, you should remember, the more powerful motor your bike has, the bigger and more powerful battery is required. And do not forget that you can always use pedals if the battery goes flat. It is also important to assess the number of available mechanical gear speeds as you will need them when pedaling without battery assistance. 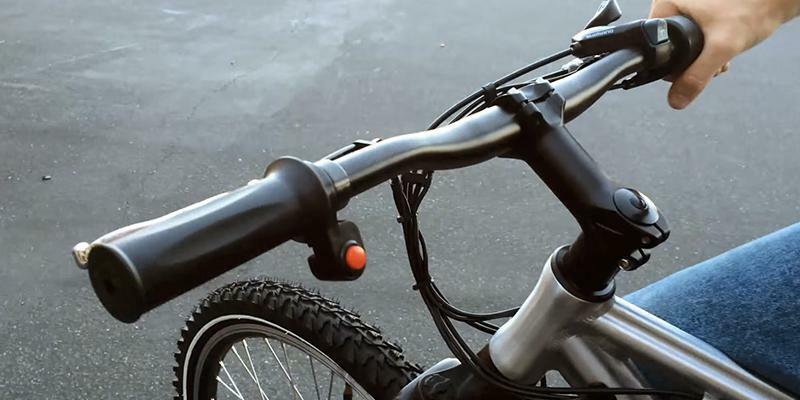 All electric bicycles feature two types of control: a throttle and a pedal-assist system. If you use the throttle to control the speed, no physical effort is needed. You do not need to push pedals, just twist the throttle like in any motorbike. 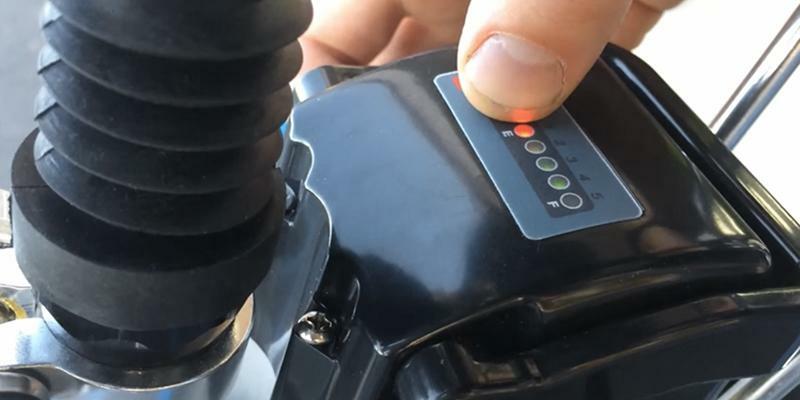 The pedal assist sensor monitors the movement of pedals when you use them. 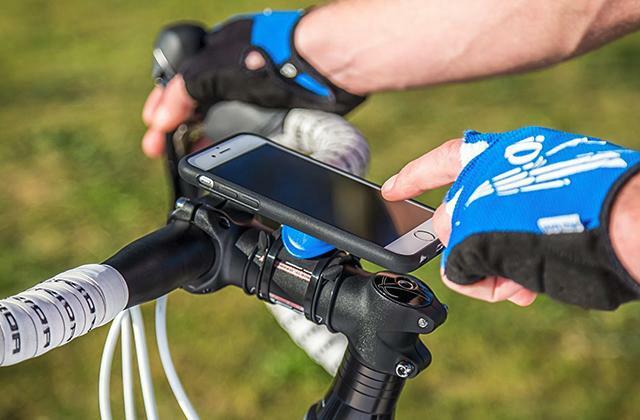 The pedal assistant helps you to ride effortlessly, and you can select any speed provided by the system. Probably, you will not even notice the assistance on the lowest speed, but while riding really fast or ascending a hill, you will feel the motor actually helping you. Some electric bikes have only the throttle control, though the majority of modern models feature both throttle and pedal assist controls. 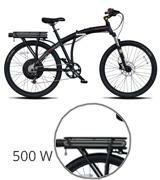 The choice of an electric bike also depends on certain specific features of its construction. 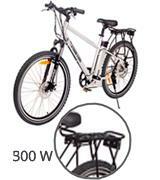 Many electric bicycles are equipped with brushless motors mounted in the front or rear wheels. The front-wheel position requires a strong steel fork which will resist to vibrations of an electric motor since a weak fork can be simply damaged by the motor. The models with the motor in the rear wheel are more common. Also, their motors are more powerful and less visible. 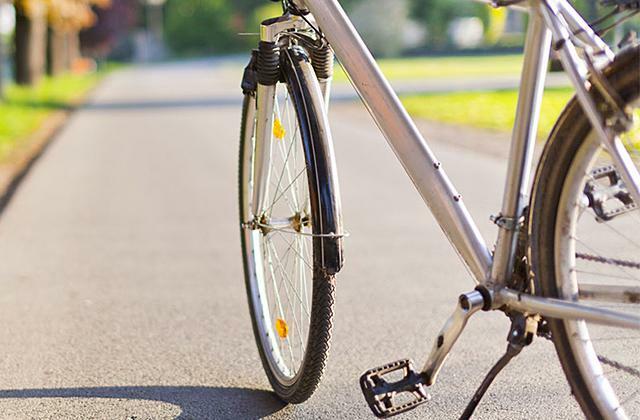 The frame of a bike is usually made of a durable metal alloy. It may be either aluminum or steel alloy. The aluminum frame is more durable, lightweight and strong. The right choice of a bike also depends on the frame and wheels size. The suspension front fork and other suspensions will absorb the shock of riding the rough roads. The road safety is also provided by brakes. Some bicycles feature disk brakes, while others – V-shape brakes. The batteries can be mounted on a frame or attached to the rack. They may also be removable or fixed permanently to the frame. It is also advisable to consider the weight of the bike itself. You should be able to bring it to your apartment, house lobby, closet, etc. with ease. 1. Daniel McMahon Here's Why E-Bike Sales Are Booming In Europe, Business Insider Australia. August 23, 2014. 2. 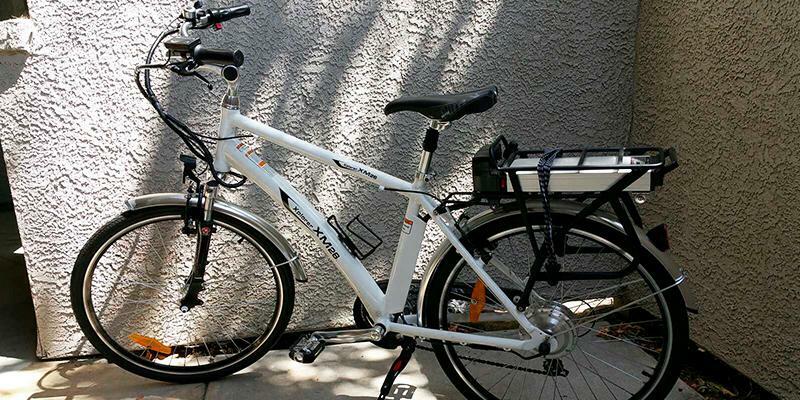 Why you haven't bought an electric bike yet, and 5 good reasons you might, soon, TreeHugger. January 15, 2014. 3. Justin Sanak Why E-Bikes Are Terrible for You, Outside. February 4, 2014. 4. 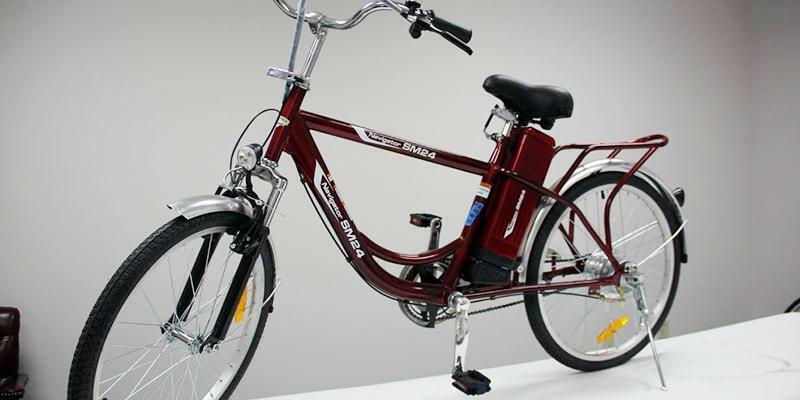 Michael Graham Richard Should I buy an electric bicycle? Here's everything you need to know to get started! TreeHugger. April 7, 2015. 5. Electric Bikes Buyer's Guide, Halfords. 6. Eric Hicks Top 10 Tips for Buying an E-Bike, Electricbike. December 6, 2012. 7. 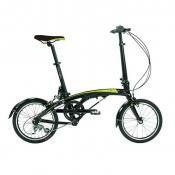 John Stevenson Buyer's guide to electric bikes, road.cc. November 11, 2015. 8. Matthew Steen Need an extra push to get on a bike? choice. March 16, 2015.